Eftichia Kapardeli was born in Athens and lives in Patras. She writes poetry, stories, Xai-kou, essays, and novels. She is a soprano chorus singer, and graduated from the Deparment of Journalism A.K.E.M (Athenian Center Vocational Education). She participated in many education seminars, and knows H/Y 7 programs, English and Italian, classic guitar, and studies right voice. She was a guide in the body of Hellenic Girl Scouts. She is a volunteer fire-woman. 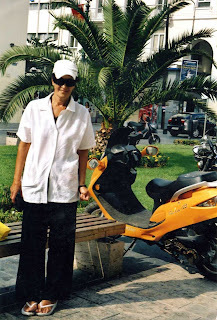 In 2004 she was a student in the Deparment Philology at the University of Patras. She has been awarded in the Panhellenic competitions in poetry, topics, stories, novels, fables, and xai kou. Her books Secret March (novel) and Sikeliana 2006 (Salamina) were awarded by D.E.E.L. and UNESCO respectively. Her works were published in literary magazines. Her first poetry collection is Confindings of secrets and Light. She is studying Greek Civilization at the University of Cyprus and is member of the World Poets Society (WPS). The official website is http://world-poets.blogspot.com/. 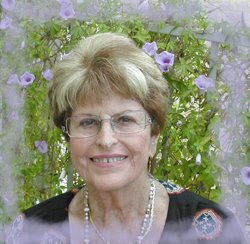 She is also a member of the International Writers Association with President Teresinka Pereira. 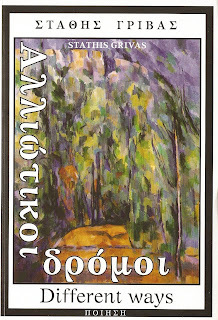 Poetess Kapardeli originally sent me her poetry in Greek. Unfortunately I don't understand Greek and so she has translated her poems in English. Although the English translation is not perfect, I've noted that the imagery is very beautiful and that there is real passion in the lines. I left Kapardeli's English as it was as I feel that the way she translated from Greek to English is languagewise revealing. Eftichia Kapardeli is essentially a romantic poet and a peace poet. The flowers shake nonchalantly their head. the breath of white paper hearth breath…. 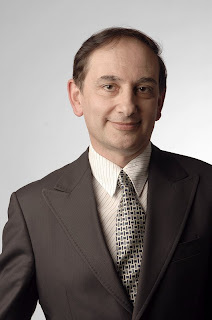 Nickos M. Batsikanis was born and raised in Pelasgia Phthiotitha’s. He made a carrier as an Airforce officer in the Greek War. Today he he deals with research concerning the Modern-Greek Language, and is approved by the Academy of Athens. He was announced honourable President of the Literary Association “Xasteron”, and he’s responsible for Public Relationships concerning the literary magazine “Keleno”. He has been included in the “People of the Year”, 2004, for his contribution to Civilization and Humanity, together with George Papandreou (minister), Dora Mpakogianni (minister, mayor of Athens), and Minos Kyriakou (president of Greek Olympic Organization). He has been honoured with a A΄ Panhellenic Poetry Prize and a A΄ Prize from the International Competition of Poetry. Moreover, his historical treatise gained the A΄ Prize equally with the Professor of History at the University of Cyprus. He was the first speaker during the literary dedication made by the “International Clubs of Maria Callas”, a true speaker to the great Diva of the Opera. A central speaker at the Word Olympiad “In Greece 2004” throughout the country. A narrative speaker at the dedication ceremony for the 80 years of the Greek singer Grigoris Mpithikotsis, the most popular Greek singer. A general co-ordinator at the International Symposium of Religious Poetry in Greece, and also its member. He has presented many writers’ and poets’ books, among them: 1)“From my diary”: author Anna’s Grigori Mpithikotsi. 2)The c.d. 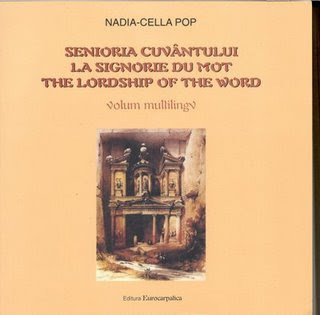 “Behold the Groom is coming”… belonging to the Professor of Byzantine Music, Mr. Sotiris Doganis. He has participated in many festivities for great names of the Arts like: Elytis (Nobel), Ritsos, Lorca, Seferis (Nobel), Solomos (national poet) and other creators, while it’s been reported that his voice comes primitive and original from the past and especially the Byzantine Period. He writes articles in magazines and newspapers concerning Essays and Treatises. His work has been included in Anthologies and Internet pages, while much of his work has been translated into different languages and has been published in magazines. with a glass between us. two are many (second will be to much). I am feeling this very delicate shiver. A long road is ahead of me. it will be your turn. 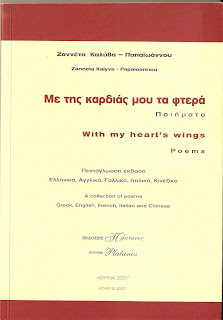 With my heart's wings (2007) is a multilingual collection of poetry written by poet and author Dr. Zanneta Kalyva-Papaioannou. One can read her poetry in Greek, English, French, Italian and Chinese. The poet comes from Vachlia, of Arcadia (Greece). She studied at the Supreme Industrial School of Piraeus (with scholarship) and at the same time she was working in the "Public Electric Power Company". 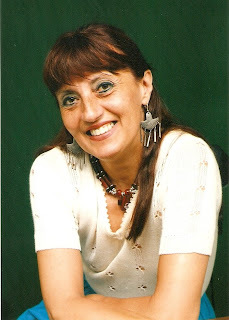 Today Zanneta is a journalist, poetess and author. Her works have been published in national and international newspapers and magazines, and her poems have been translated in English, French, Italian, Chinese, Albanian and Korean. Her writings have won international and national prizes and she is member of the "World Congress of Poets/ World Academy of Arts and Culture" from where she was awarded the Doctor of Literature. She is also member of the "Accademia Ferdinandea" (Italy), of the "International Society of Greek Writers and Artists", of the "Union of Greek Writers", of the Literary Club "XASTERON" and of the "Literary Club of Helioupolis", amongst others. Zanneta is also included in the American "Who's Who" and in "I.B. of Cambridge" (UK). In her poetic anthology With my heart's wings Zanneta has 25 poems translated into English, thanks to poet and translator Zacharoula Gaitanaki. Two of the most important themes in Zanneta's verse are love and peace. enough of them for her. for every pain and grief. a sick or a poor man. "why all that to me?" and let the sunlight in. Different ways (2008) is another bilingual poetry anthology written by poet Stathis Grivas, and translated into English by Zacharoula Gaitanaki. After Citizen of the World (2007) Grivas brings to light these two long poems, "Ecce Homo" and "Pigeons and Falcons". As Gaitanaki writes in the introduction, this is "a book for the children that are dying of hunger and for 'a world without arms and bombs', a peaceful better world". Thus Different Ways is proof that poets and politics go hand in hand. However, this is not politics the way politicians understand and practice it. Grivas politics is of the genuine type; it is poetry - and thus words - with a positive message, and not words which have egoism and personal profit as the real and only objective. Grivas presents a strong contrast between the innocence of children on one hand, and the corruption and greed of the adult world on the other. Stathis Grivas was born in Kato Tithorea of Lokrida in 1926.
xuxthom bnadar ghar-raggi tax-xemx titbaskat. mill-uff u l-ajma tal-frosta ta’ l-arlogg. during a day of rest. their hair flags baking in the rays of the sun. resting from the “uff” and “ouch” of time’s lash. fresh flavours for the happy children. curtains will be closing even on this spectacle. durant une journée de repos. leurs cheveux au vent brûlés par les rayons du soleil. se reposent des « ouille » et des « aie » de ses coups. ses parfums aux enfants heureux. le rideau se fermera sur ce spectacle. miro a la vida extendiendo sus brazos delante de mí. en un día de descanso. con su pelo cociendo como banderas en los rayos del sol. descansando del Ay y del Uff del látigo del tiempo. las cortinas también cerrarán este espectáculo. Top left: Patrick Sammut with Nosside President, Prof. Pasquale Amato. Top right: Patrick Sammut with other winning poets at the Reggio TV centre. Bottom left: Patrick Sammut (first from left, with other winning poets of Nosside 2008, at the Archaeological Museum of the Magna Grecia, Reggio). Bottom right: Patrick Sammut being given his prize during the Ceremony at the Local Council of Reggio. Nosside is an international poetry competition open for all countries from all over the world. Participants send their poetry written either in one of the five main languages (Spanish, French, English, Portugese, Italian) or in their native language (or dialect), with a translation in one of these five languages. This year Nosside hosted 40 participating countries, 29 languages in all. There was one overall winner from Italy , four other winners and then 10 special mentions. Sixth Form teacher and poet Patrick Sammut featured among these last 10, with a special mention for his poem written in Maltese, Jum ta’ Btala, and translated into English as A Day ofRest. The prize-giving ceremony was held on Friday, 28th November, at the Reggio Local Council. Poets from all over the world ( Italy , Brazil , Venezuela , Mexico , Colombia , China , Russia , Croatia , Congo , Malta ...) met and read out their winning poem. Before the ceremony the group of poets, together with Prof. Pasquale Amato (the mind behind Nosside) were interviewed on Reggio TV. They also had the opportunity to visit the Archaeological Museum of the Magna Grecia in Reggio, where one can admire the world-famous Bronzi di Riace. In the evening they were treated to a superb Italian dinner in a restaurant nestled in the nearby hills. On Saturday morning a Seminar was held in Messina , where the poets discussed Cultural Differences and Poetry. Mr Sammut was given a silver plaque, together with a certificate commemorating the occasion. Some days ago I received a very interesting book from Dr. Ioannis V. Menounos from Greece. 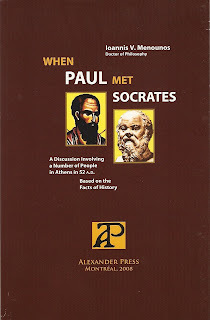 The book is When Paul met Socrates - A discussion involving a number of people in Athens in 52A.D. (Alexander Press, Montreal, 2008). It is a 70-page book based on the Socratic dialogue where Menounos imagines Saint Paul meeting Socrates (two men who lived more than four centuries apart) in the present day. It is a spiritual encounter. I read it all at once as the style is flowing and the arguments treated are clear although deep. I have to read the book a second time as I want to reflect more on the situation created by the author. Ioannis V. Menounos was born in Athens, Greece, where he graduated from the Philological School of the University of Athens with specialization in Neo-Hellenic Studies. 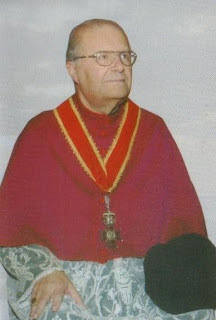 He worked for 25 years as a teacher and principal of public high schools, obtaining his Ph.D. in 1980 for his work on the life and teachings of St. Cosmas the Aitolian. Author of 25 books, his writings include a synoptic history of the Greek nation, many monographs on St. Cosmas, novels, treatises and short stories. He was the editor of the newspaper "Dimosiographiki" for 21 years. Uhud aktarx jabbinaw il-kelma profeta ma’ bniedem li jbassar il-gejjieni. Forsi ghax fl-Antik Testment il-profeti kultant kienu jaghmlu dan. Izda l-verita`, it-tifsira ta’ profeta hija ghalliem. Ghalhekk, il-poeta tradizzjonali kien u ghadu l-ghassies tas-socjeta`; u hekk ghandu jkun. Importanti jsegwi l-grajjiet li jsehhu madwaru, u fejn jinnota nuqqasijiet ghandu jhossu fid-dmir li bi prudenza kbira jiftah halqu u jsemma’ lehnu. Hekk ghamlu fl-imghoddi diversi poeti kbar, specjalment f’dawk il-pajjizi li kienu mmexxijin fuq linji dittatorjali. Insemmi b’ezempju lic-Cilen, Pablo Neruda, u lis-Sovjetiku, Alexandre Solzhenitsyn, li t-tnejn spiccaw hazin u daqu l-ezilju ghax ghamlu dan. Imma ma bezghux iwettqu dmirhom. U tahsbux li dawn huma hwejjeg ta’ l-imghoddi biss. Skond l-IWA ftit xhur ilu, poetessa Izlamika spiccat il-habs ghax kitbet versi dwar l-Izlam illum; versi li gew ittimbrati mill-awtoritajiet ta’ pajjizha bhala poeziji terroristici (terrorist poetry). Importanti pero`, li l-poeta jimxi mal-qawl Ciniz li jghid: Il-poeta ghandu jkun dejjem mera tas-sewwa. Dan jimxi id f’id ma’ dak li jsostnu xi whud, illi l-Kitba, inkluza l-poezija, ghandha ghan wiehed: li taghmel il-gid. Dr. Alfred Sant, politiku u kittieb maghruf sewwa f’pajjizna, waqt attivit¿ li saret ad unur it-tabib Guze` Bonnici fil-kwartieri tal-Partit Laburista, il-Hamrun, nhar is-Sibt 6 ta’ Ottubru 2007, heggeg lill-kittieba Maltin kollha biex ma jibzghux juru l-fehmiet dwar dak li jkun qieghed isehh madwarhom. Ma jimpurtax li jista’ jkun hemm min jittimbrahom politikament. Hekk ghandu jkun. Hekk titlob id-demokrazija. Hekk titlob il-liberta`. Hekk titlob il-missjoni ta’ kull kittieb serju – inkluz il-poeta. Ghalhekk, xi drabi l-politici jibzghu mill-kitba. Jista’ jkun li ghal dan il-ghan inholoq il-qawl Ingliz: The pen is mightier than the sword. Imma, b’dan il-mod biss il-poeta jkun tabilhaqq jixraqlu jissejjah profeta.